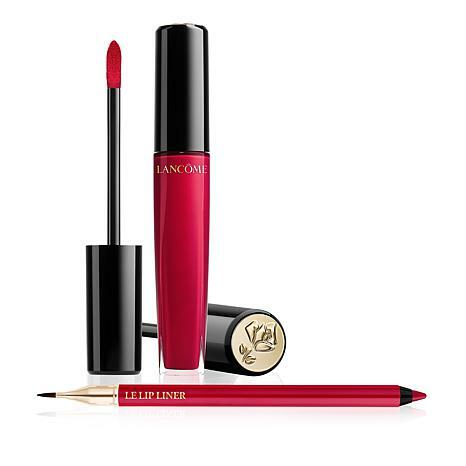 A lip gloss and liner duo designed to help give you a gorgeous, glossy pout. 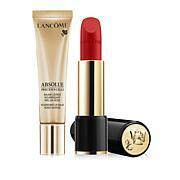 I've been using Lancome for 35 years. The quality is amazing and this color is beautiful. Love lip color and glosses but my lips were becoming more and more dry and chapped. 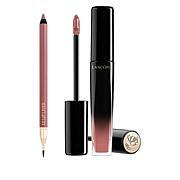 Saw rave reviews of Lancme glosses on Ulta but were pricey. 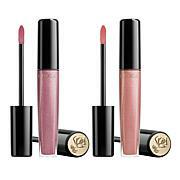 Checked HSN and ordered on flex pay, got my first Lancme gloss and was Ah-mazed! Its like a lip treatment! Gorgeous color and rich hydration. So worth the price! Love the red. Nice formula. Bought 2 colors. This is a true neutral red not too blue not too orange. I filled lip in with pencil and finished with the gloss. The gloss has really good coverage thicker than most. Love it! Love the lipliner!!!! Stays put most of the day. Red gloss is perfect shade. Blonde blue eyes. 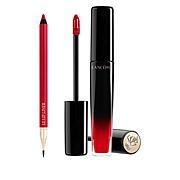 Finicky about reds and will buy again!